In a word – progress. Ninety-eight percent of the citizens of the U.S. choose NOT to farm. Most people choose to shop in a grocery store rather than have a garden. The need to eat used to take up the time of almost everyone in the country. In the past 100 years however, agriculture technology has advanced to the point where less than 2% of the population feeds the other 98%, and much of the rest of the world. As I read the article, I wanted to replace the word ‘apple’ with ‘flip phone’. “Where have all the flip phones gone? We used to have thousands of types of phones, and today, they have DISAPPEARED. (Insert dramatic music.) The flip phones are gone because of big business. Down with them all! 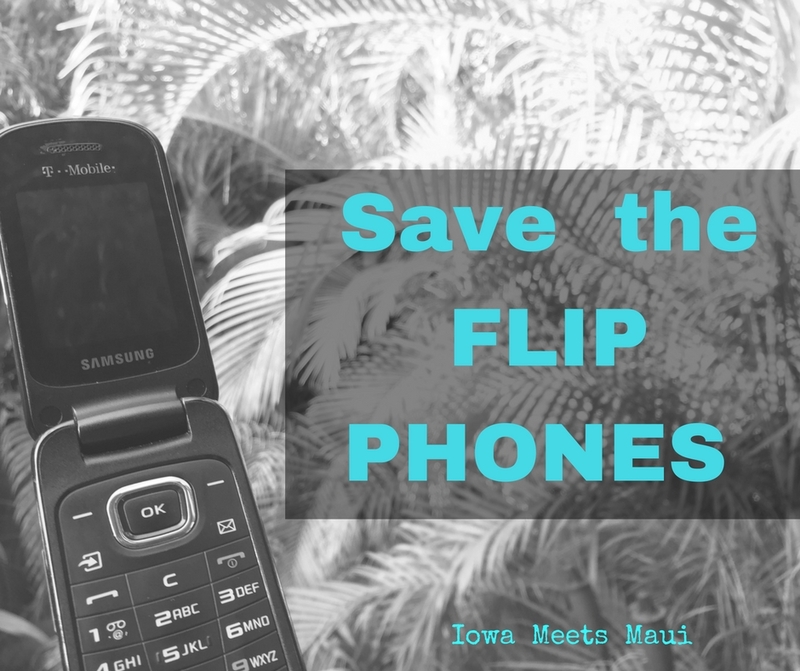 Save the flip phones! We all understand why the flip phones are gone. They weren’t that great, way better phones have been developed since the 1990’s, and while we might enjoy them in a museum, no-one wants to use them anymore. In an article like this one from Upworthy, one may ask, what is true, and what is added as part of the massive push to hate on corporations? Claim #1: We’ve lost some apple cultivars over the years. Yes. Yes we have. Because they sucked. They didn’t ship well, rotted fast, maybe didn’t have much use due to low sugar content, and possibly had no natural resistance to pests and disease. They were the flip phones of the apple world. While we’ve lost some, there have been new ones developed that are far superior. Farmers have preserved the good traits from these older cultivars and they are present in today’s commonly found varieties. Keep the good, toss the bad. I spent a year at Iowa State as an apple geek. My job was to run taste tests on all the apple varieties we could locate, then check them for sugar content, color, and desirability. There were a few old time stand-outs, which I promptly started growing on our farm, but overall, the varieties you see in the grocery store were far and away the big winners. Claim #2: Save the apple seeds! It seems the Upworthy article wasn’t written by a person with much agricultural background. You don’t really save apple seeds. You can. They can be planted and will probably grow, but the subsequent tree and fruit will not be what you expect. Apple seeds from a Granny Smith apple will probably not give you a tree with Granny Smith apples. You have to propagate them asexually. So yes, we’ve lost some cultivars over the years because no one thought they were worth saving or they all died before anyone could take a cutting. So save those apple seeds – it won’t be that precious old time apple cultivar you’re hoping for when you grow it out one day, but go ahead and save it! Save the flip phone while you’re at it. Claim #3: Big agriculture companies patent their seeds and prevent us from saving them from year to year. Yes and no. No one is prevented from saving seeds. If you purchased seed from your local super-store, and after growing it out in your garden, you choose to save a handful of seeds for next year, go right ahead. Have fun drying and storing it properly, and then cross your fingers that it actually germinates later. Farmers haven’t been saving seeds for a long time, not because they aren’t allowed to, but because it’s a hassle to store it and it’s less expensive to buy new seed from the dealer in town. What many people are referring to when they say ‘we can’t save seeds’, are patented seeds. Living things have been patented since the 1870‘s, and plants since the 1930’s; long before the likes of Monsanto first patented a seed around 1990. Why are seeds patented? A company pours $130M and 13 years into developing a new hybrid or genetically modified seed. They need to pay the bills. They will patent that new genetic combination and make sure it doesn’t get copied by someone else for a at least a few years. The farmer buying the new type of seed will sign a contract at purchase. Think of it like a music artist making a new album. They put the time into it, they copyright it, and they go after someone making bootleg copies. It’s stealing. Seeds aren’t any different, and in reality, very few people have been busted for stealing seeds from an ag company. It’s always obvious that the person intended the theft, they get caught, and (in the case of Monsanto) they donate any money won in court to the thief’s local community. They simply want to protect intellectual rights. I have no desire to go back to the way things were 100 years ago. I like the variety of jobs the non-farming 98% of us can choose to pursue. I like having the choice to grow a garden each year. I like having produce in my refrigerator with a long shelf life. I like my smart phone. I have no desire to go back to a flip phone thank you very much. But by all means, save the flip phone if you think it’s of value! –Hope this helped Matt! Love you. Tags: apples, contracts, corporations, flip phones, Monsanto, seed saving, seeds, upworthy. Bookmark the permalink. Thanks Rhonda, I appreciate you taking the time to answer my question! Love you too! !